ONE DAY LEFT TO REGISTER! If you want to get a literary agent, you have to hook them quickly with your submission materials. And the two most important items during your initial agent inquiry are the all-important query letter and first pages of your story. 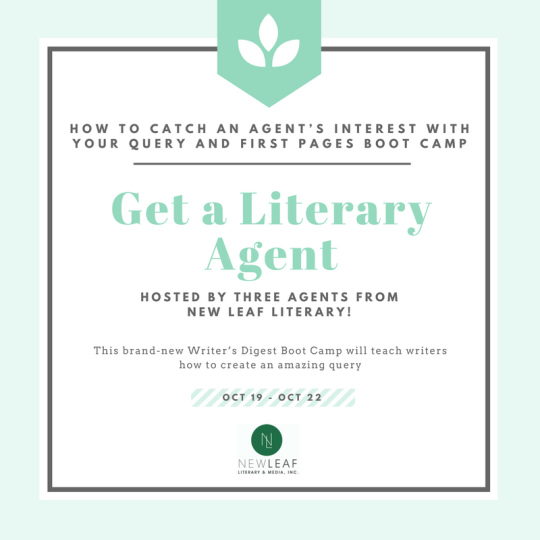 This brand-new Writer’s Digest Boot Camp will teach how to do create an amazing agent submission. Hosted by our very own SUZIE TOWNSEND, JAIDA TEMPERLY, and DANIELLE BARTHEL, attendees will have access to a 60-minute online tutorial. After that, attendees will have two days to revise their materials for critique. Then the agents will provide feedback on those materials. Speaking with Literary Agent Imogen Pelham.